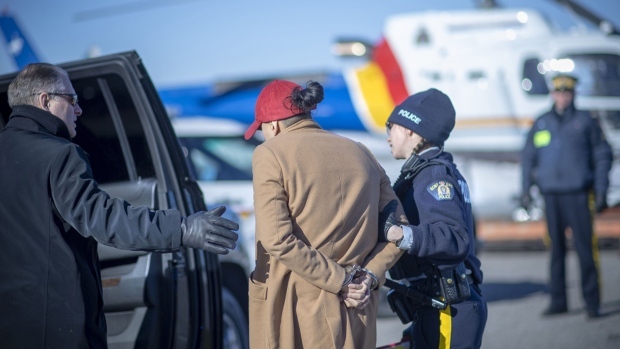 The RCMP rounded up people accused of taking part in a money laundering ring that operated in Montreal and Toronto. Twelve people were targetted in the Montreal area, with another seven in the Toronto region. Police had arrested 11 people by 9:30 a.m. Monday. According to Sgt. Luc Thibault the people mentioned in the warrants "were collecting money from criminal groups in order to launder the fruits of their illicit activities." More than 300 police officers from Montreal and Toronto took part in the raids, which started at 6 a.m. Monday. The RCMP will release more details about the investigation Tuesday morning.